The old time trial course once used in the Coors Classic is again being used in the USA Pro Cycling Challenge. This route has not been laying dormant all these years, it continues to be an active race route. I was told by Eric Smith of Medalist Sports (the organizer of the USA Pro Challenge) at the Volunteer meeting in Denver, that Andy Hampsten held the course record, but this evening I read that this same course has been used for the last six years in the Teva Mountain Games and the record holder is not Hampsten, but Ben Day of Kenda-5 Hour Energy Pro Cycling. The course record is 25:48.
Who is the record holder? 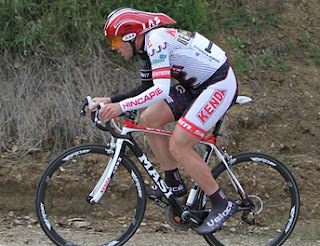 To clarify I sent off an email to Kenda 5-hour Energy Pro Cycling Team and promptly received an email back from Chad Thompson, stating that Ben Day is in fact the record holder for the route that is Stage 3 of the USA Pro Cycling Challenge. Now why Ben Day and his team are not coming to this race, no one seems to know, but I think the record holder should have been given a chance to defend his record. 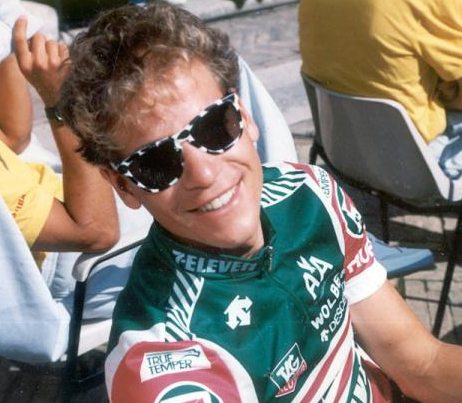 Andy Hampsten might be cute but he is not the fastest.